1.5 KM From Mulpani International Cricket Stadium. This newly built house located nearby front side of mulpani APF gate, having with 2 number of shutter, Size ( 14 X 12 ) Sq.ft. 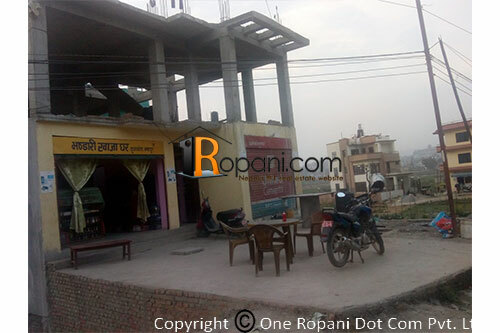 1 km near from purposed Bir hospital and Nepal Engineering collage bhaktapur, public transportation facility ( Route :- New buspark Gongabu and Ratnapark to Nepal engineering collage & purposed bir hospital ), 3 stores map pass house ground floor completely finishing and 1st floor not finished yet, Prime location suitable for hotel, grocery etc.